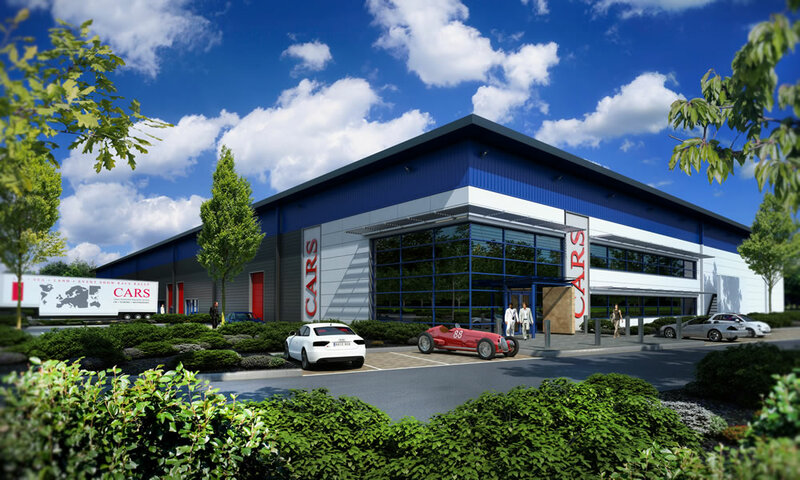 This project is the development of a 100,000 sq ft office/repair/storage facility for a major specialist classic car repairer/transporter. The building design is split into 20,000 sq ft units giving the tenant flexibility as to how much space they have for their core use and how much they may let out to secondary occupiers. The aesthetics are driven by the need to deliver a cost efficient envelope for the tenants business, while recognising that they need a smarter front of house to impress their clients.